This Elstead Elva 4 light LED outdoor wall light in graphite finish is rated IP54 and features contemporary minimalist style. Square domed body, with a lens on each side fitted with LED’s. 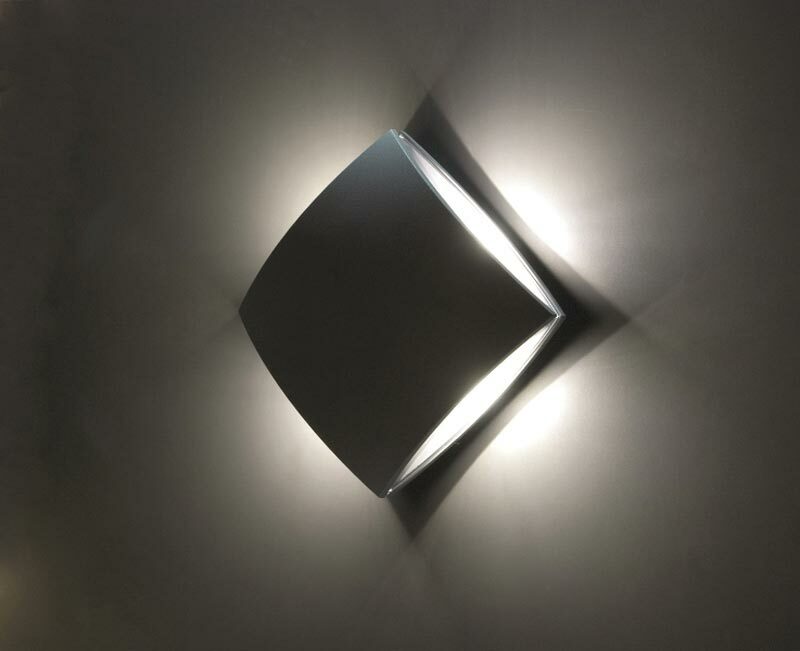 Can be mounted in square or diamond profile to create a wonderful light pattern. 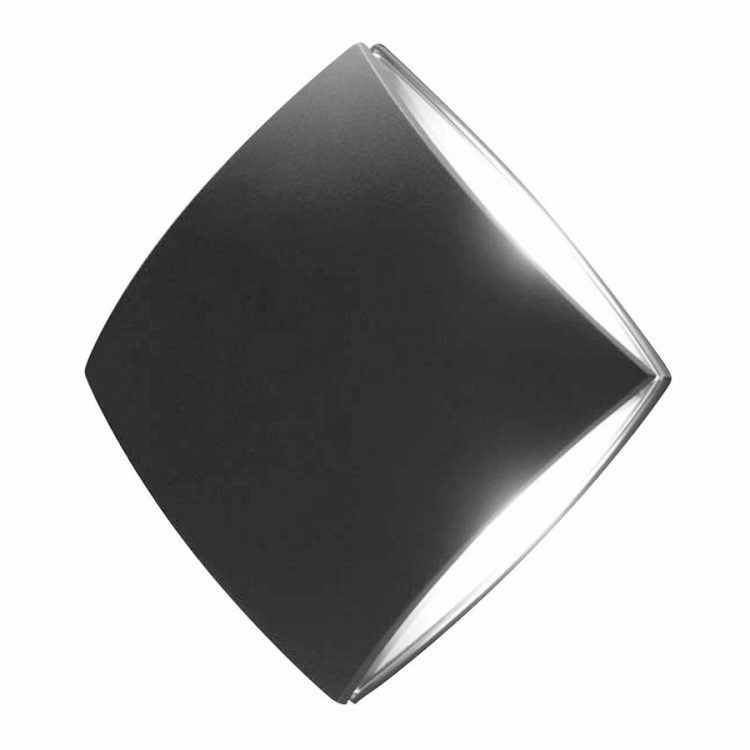 This modern, minimalist outside light is made from robust cast aluminium and offers a stylish look on buildings when lit. Multiple fittings when placed close together can give a dramatic appearance. It is polyester powder coated in graphite and ideal for lighting outside your front door, a pathway or patio area. Fully weatherproof and supplied with a manufacturer’s 5 year anti corrosion warranty, which relates to the corrosion of finishes on lights like this one. Locations within 5 miles of the coast are excluded. The guarantee does not relate to the electronic parts, which are covered by a 2 year guarantee against failure. After this period, they are still repairable and serviceable, either by the company or local supplier. A class II double insulated wall light no earth required and suitable for older properties without an earth loop. This exterior light is supplied by Elstead Lighting, a British company that specialise in the manufacture and distribution of quality decorative lighting such as the Elva 4 light LED outdoor wall light in graphite finish and rated IP54 you see here.